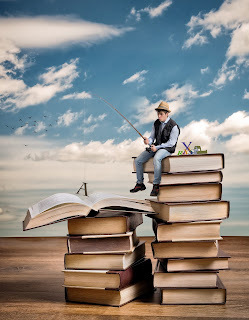 The Writers Alley: What Are You Fishing For? Last weekend, I had the amazing opportunity to help work a booth at the Southern Festival of Books. I went in with fairly low "sales" expectations. I wanted to sell one book. A lot of time and energy had gone into the booth and in my head, I knew that "sales" wasn't to be my measure of success.... so I figured if I at least sold ONE book, then the rest would be gravy. I'm happy to report that I ended up selling SIX books. Yup, got 600% of my goal! But going in, my heart yearned for something else. I wasn't 100% sure what that was or looked like. I'm not a super duper social person especially in crowds, and tend to do the "behind the scenes" stuff and let the sales and talking to people to other people. The last day of the festival though, I worked really hard to make myself talk to people. I didn't try to sell them, because it made me feel icky. I just wanted to get to know them. Sunday was THE BEST DAY EVER. I got two meet two local college students who needed to interview an author. I met a mother who was publishing her daughter's books-- her daughter had passed away 2 years prior. I met a LOT of aspiring authors who just wanted to talk to other authors and needed a bit of encouragement. I met a lot of women who just liked to talk about books. I played with their kids and laughed with them and just enjoyed talking with people and trying to show a glimpse of Jesus' love to people who passed our group. I even had some dude ask if I was single and the proceed to steal a copy of my book. Okay, so that was odd. But hey, if he wants my pink Sandwich book that bad, he can have it! I was mulling over the weekend Monday morning as I sat down to read my bible, and God gave me the BEST Bible verse. Mark 1:16-18 "One day as Jesus was walking along the shore of the Sea of Galilee, he saw Simon and his brother Andrew throwing a net into the water, for they fished for a living. Jesus called out to them, 'Come, follow me, and I will show you how to fish for people!' And they left their nets at once and followed him." Honest: I DO try to write for a living. It doesn't pay a LOT of my bills, but it does pay some, and I view it as my career AND my ministry. But this past weekend, and this verse, reminded me that the "living" part is inferior to the "people" part. I don't want to write for a living only. My heart, my deepest desire, is to write with Jesus in mind, write for PEOPLE. That someone can be ministered to through my writing -- that's my TRUE goal. Now, book sales are great. Don't get me wrong I NEED to make some money off them because I have 4 kids to feed and bills that need to be paid... and if I didn't, I wouldn't be able to spend the time I do writing it, as I'd need to take on more "paying" clients. So I don't discount the "living" part. But God is reminding me to put that in it's proper place of priority.... much lower than "people." 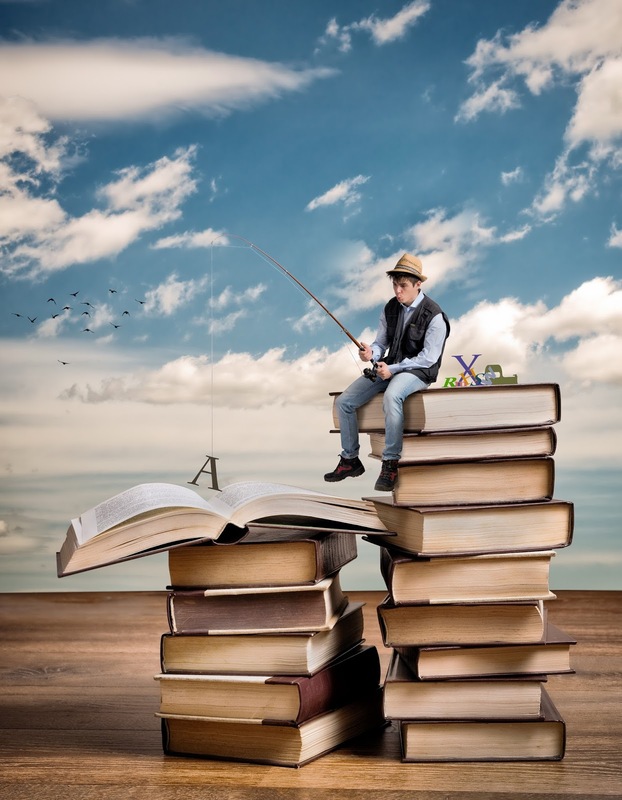 Are you writing for fish or for people? :-) :-) How do navigate the balance between the two? Yes, yes, and yes! A couple of years ago I attended a homeschool conference and Jon Erwin, Christian filmmaker, was giving some talks about using your gifts for God. He asked, in a sort of ponder this challenge way--why are you doing this? BAM! It hit me. What you said in this post is my "why." I too have 4 kids and hope to make a bit of a living with this writing thing, but the bigger reason I write it to introduce my friend and Lord, Jesus, to people who don't know Him and to invite those who do to hang out with Him for a while. Thanks for this lovely reminder this morning! I love your story, Krista! And reminds me too what this writing world can put into perspective. I'm kind of dumbfounded over the whole book thief guy...really?? Amy, love it! Yes, the why is a good thing to ponder!! Oddly, I don't inherently write as a form of evangelism. My heart is to bring a smile to the face of the reader, while encouraging them to further deepen their walk with Jesus. The tired Christian woman who needs encouragement in her faith, a prod to go just a little deeper with Jesus... that is my calling if you will. But it is still about the "people" and I always recognize that someone who doesn't know Jesus may pick up on my book, and my hope is that it gives a glimpse of God's love and plants a seed! Casey, HA! He said he had a sister with the last name Phillips, so maybe for her? Still, it was just really weird.